It is an opportunity to highlight the important contributions that older people make to society and raise awareness about the issues and challenges of ageing in today’s world. As a result of declining fertility rates and increased life expectancy, ageing is emerging as a key policy issue around the world. There are around 600 million people, or 10% of the world’s population, over the age of 60. By 2050, 80% of older people will be living in low and middle-income countries. It is estimated that nearly 142 million people or about 8% of the total population in the South-East Asia Region is over 60 years old and lives in urban areas. 1st October is the United Nations International Day of Older Persons. 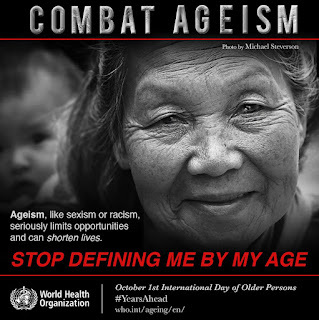 The theme for this year’s day is “Take A Stand Against Ageism”. Ageism, the stereotyping and discrimination against people on the basis of age, which causes serious social prejudice with significant consequences for older people. Is ageism really a problem? Today, there are around 600 million people aged 60 years and over worldwide. This number will double by 2025 and will reach two billion by 2050, with the vast majority of older people in the developing world. Negative ageist attitudes are widely held across societies and not confined to one social or ethnic group. Research suggests that ageism may now be even more pervasive than sexism and racism. This has serious consequences both for older people and society at large. For example ageism limits the questions that are asked and the way problems are conceptualized and is hence a major barrier to developing good policies. What is the impact of ageism on health? Ageism has harmful effects on the health of older adults. Research shows that older adults with negative attitudes about ageing may live 7.5 years less than those with positive attitudes. Ageism has been shown to cause cardiovascular stress, lowered levels of self-efficacy and decreased productivity. Negative attitudes are also widely present even within the health and social-care settings where older adults are at their most vulnerable. Some of this prejudice arises from observable biological declines and may be distorted by awareness of disorders such as dementia, which may be mistakenly thought to reflect normal ageing. Ageism can become self-fulfilling by promoting in older people stereotypes of social isolation, physical and cognitive decline, lack of physical activity and economic burden. Negative attitudes about providing long-term care for those who need it also make it difficult to recruit paid care workers in many countries. This may reflect ageism in the broader culture, the tendency to equate long-term care with poor-quality working conditions, or the low status accorded to caregiving. 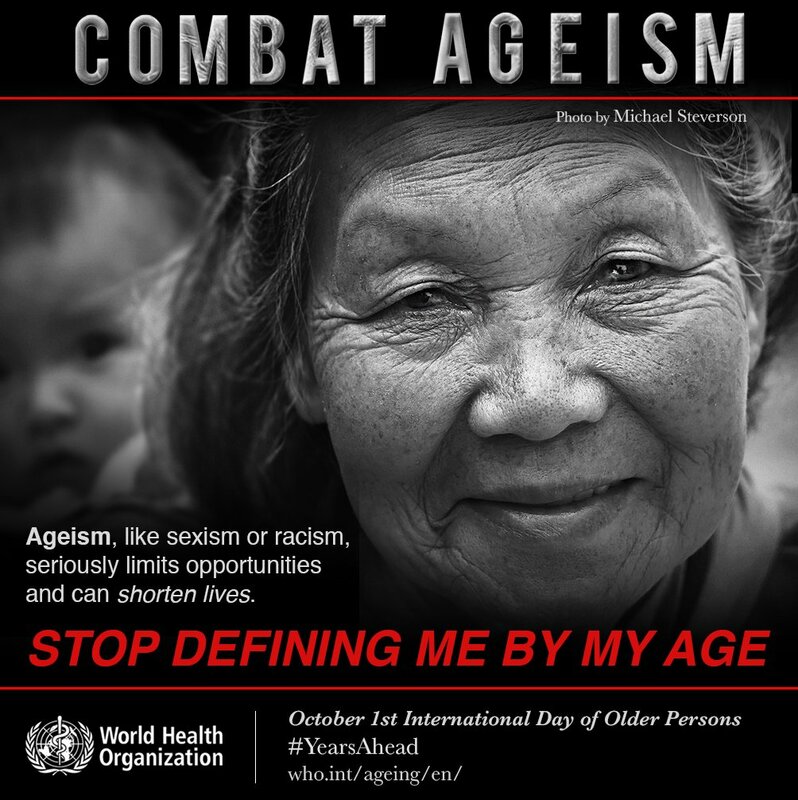 How can we combat ageism? Tackling ageism will require a new understanding of ageing by all generations. This understanding needs to counter outdated concepts of older people as burdens, and acknowledge the wide diversity of the experience of older age, the inequities of ageism, and demonstrate a willingness to ask how society might organise itself better.